On older SLIV Regional Rail rolling stock, train doors are located at the vestibules on the ends of each car. On mid-day trains with two conductors and two cars, there are four potential points of entry on each side of the train. Of those four, the front must remain closed as that serves as the locomotive engineer’s cab. The three remaining doors are positioned as follows: two in the vestibule in the middle of the train (at the rear of the front car and the front of the rear car) as well as an extra door at the rear of the rear car. Unfortunately, many conductors only utilize the two doors in the center of the train, creating a large bottleneck for customers both attempting to board and exit trains. Moreover, this creates delays for passengers as additional boarding/egress time leads to increased station dwell time. In order to mitigate this, both the front and rear doors should be opened on all trains. Implementing this change would require absolutely no monetary expenditure. Instead, the difficulty lies in changing conductors’ behavior to align with such a practice. While a policy change would be able to solve this quite simply, this fails to account for conductors’ behavior with respect to changing their long-time practice of opening only the center door at stations. Including this in re-training and promoting the reasoning to conductors prior to doing so should be done such that the entire organization collectively buys-in to the benefits from such a change. 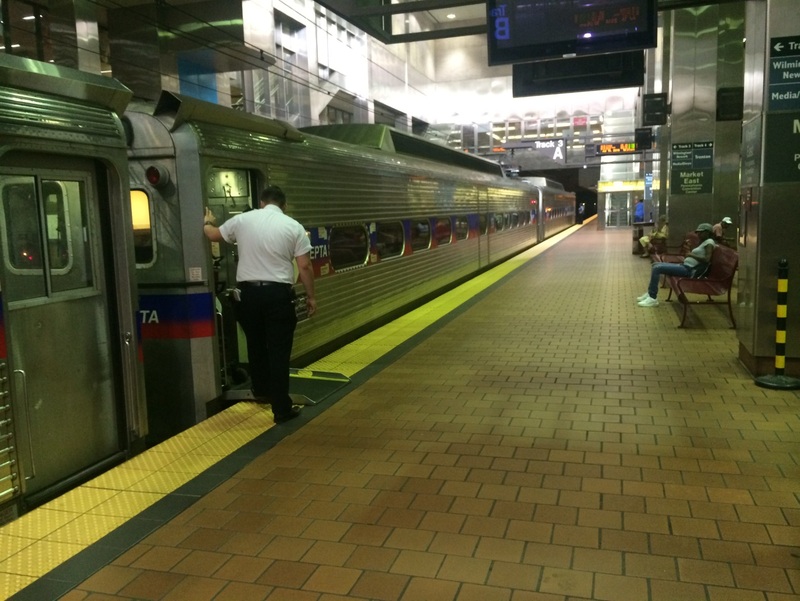 Figure 4: A 2 Car Regional Rail Train at Market East. Outside of Center City, the closure of the rear door leaves the doorset in the middle of the train (boxed) as the sole point of egress. 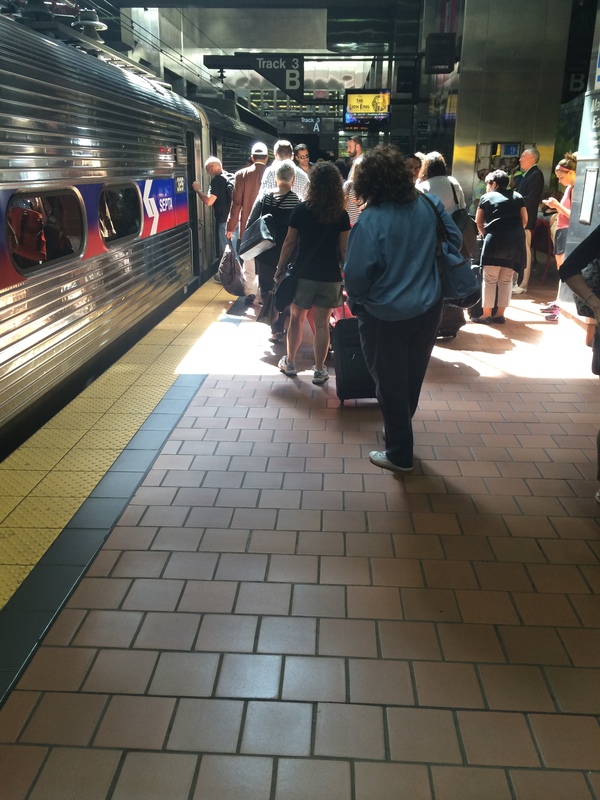 Airport train boarding in Center City. Rear door of second car isn’t open, creating a bottleneck of people at the center door. Speak to people in operations regarding the current practice. Speak to conductors about the reasoning behind why it isn’t currently done. Implement simply by making a Regional Rail policy change.